All the way back in 2017, we brought you word of Zahnd & Korman’s first foray into the watch world. While chronographs don’t really do it for me, it must’ve worked for a good number of people, as the brand has come around with their next version, one that has me rather intrigued. 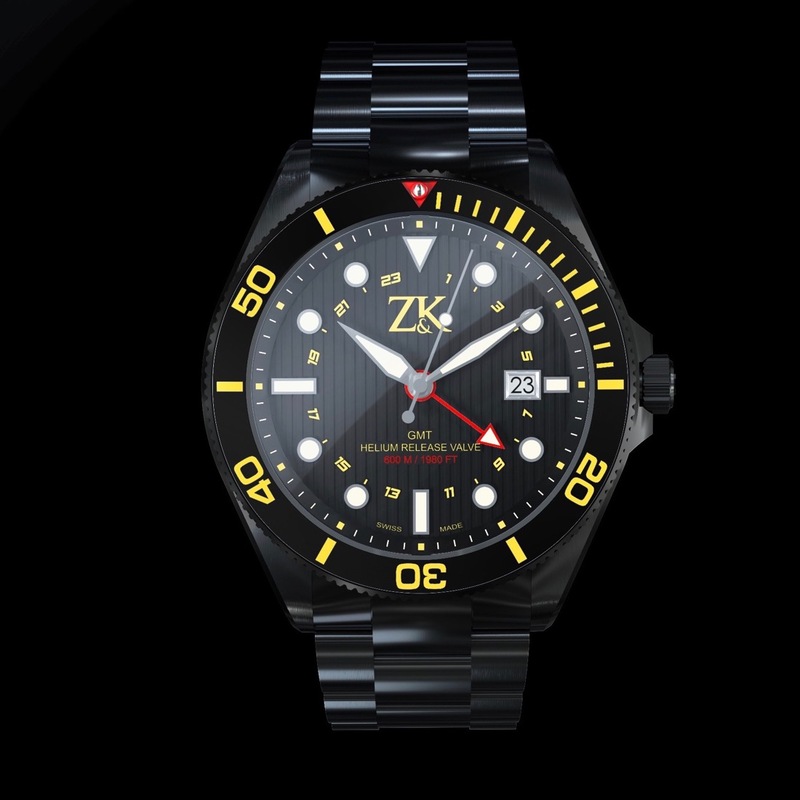 This new watch is simply named – it’s the Zahnd & Kormann ZK No. 2. It’s a name that works on a few different levels, you see. First up, the Zahnd & Kormann ZK No. 2 is, of course, the second model in the brand’s lineup. On top of that, there are actually two different movements available, two different levels of finish on said movements, and two different materials available for the case and bracelet. That is a LOT of twos! First things first, however. The Zahnd & Kormann ZK No. 2 is a dive watch, first and foremost, in terms of both looks and specs. For me, that is immediately evident in the styling of the watch. Then you notice the helium escape valve (which, as we’ve said before, is basically useless for anyone except saturation divers), and the fact that the spec sheet carries a 600m WR rating. Again, another mostly meaningless spec for us desk divers. What I like about it, however, is the implication in the engineering needed to ensure that 600m rating. Yes, I’ll never stress a watch to that point, but there’s a robustness there that will protect the watch for whatever I’m going to throw at it. Then again, I’ve already got a 500m diver in my watch box, so why would I take notice of the Zahnd & Kormann ZK No. 2? Fittingly enough, for two reasons. First up, they have an option that gives you a GMT complication, which makes the watch a lot more versatile (and, well, I just plain like the complication). Second? They’ve mixed up the design a bit, and have gone with flinger-style hands on the watch. This makes the watch different enough that it piques my interest, and really catches the eye, particularly for those who are aware of what sorts of hands generally go with particular designs. Then, as I got into the variations involved with the Zahnd & Kormann ZK No. 2, I became even more intrigued. For one, you’ve got lot of color options. Sure, blue is slam dunk for me, but something about the way the colors pop off of the black PVD version is really catching my eye. Then, let’s talk materials. You’ve got sapphire on the crystal, and ceramic on the bezel, all good things. Case and bracelet? Those are stainless steel. Oh, you want lighter weight? Well, today is your lucky day, as you can opt for titanium instead. So, let’s see – you’ve got choices in materials, you’ve got choices in color ways. Oh, and yeah, with the Zahnd & Kormann ZK No. 2, you’ve got choices with your movements. Not just between a Selitta SW200 (3-hander) and SW300 (GMT), but in the level of finishing. You can opt for Elabore grade (+/- 6 sec/day), or you can go for COSC-grade (+/- 3 sec/day). So, yes, you may not have designed the watch yourself, but you certainly can have a lot of control over the price and components. Would I buy one for myself based on what I’ve seen? A tough diver in titanium and a GMT complication? What’s not to like? If I could make one design suggestion, it would be: I might consider shrinking the logo, or making it a bit less “in your face”. Something like that is going to be a deal breaker for some buyers.